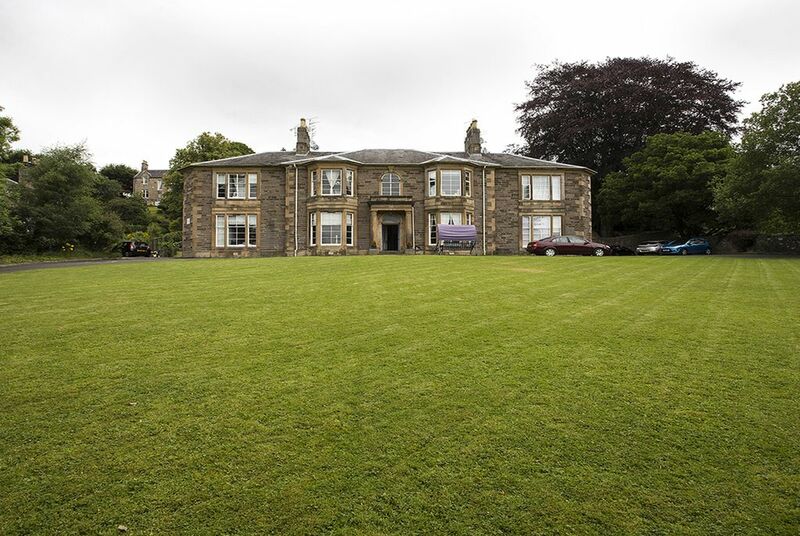 Number 3 Stanley House is a first-floor apartment nestled in the Victorian Spa town of Bridge of Allan, near Stirling. The house is very well located, being situated within two miles of the motorway, making it a fantastic base for exploring Central Scotland and the Trossachs. Edinburgh, Glasgow, Perth, St Andrews and Loch Lomond can all be reached within one hour from Bridge of Allan. The apartment has been fully renovated to the highest standards and still contains many of its original features. Being south-facing, it offers bright, spacious, accommodation for family holidays and social gatherings. The apartment comprises a very large bay-windowed lounge, with wood burner and a well equipped modern dining kitchen fitted with a fridge freezer, 5-burner gas hob, double oven, washing machine and dishwasher. The property comprises three bedrooms; I double bedroom (king-size bed) with en-suite shower/bathroom , 1 double bedroom (Queen size bed) and 1 twin room (2 single beds). The bathroom has a bath and an electric shower. The apartment is centrally heated. The front of the apartment has a well appointed, large communal lawn space, together with parking and communal grounds to the back of the apartment. A locking outhouse is available for bicycles on request. The apartment includes a TV with BT Sport, FREE unlimited WiFi, FREE parking, and a welcome pack containing some local produce. All bedding and towels are included and all power is included in the rate. The apartment is situated on the main street and within walking distance to a wide variety of local shops, restaurants, cafes, bars, supermarkets and banking facilities. Bridge of Allan railway station is within a 10 minute walk, providing public transport to Stirling, Glasgow and Edinburgh. The University of Stirling is situated within one mile of the apartment. Great location and clean unit! From the location to the food that was waiting for us we loved our stay. Our family of 6 had plenty of room and could walk to many nice restaurants. Our kids loved all the cards and games and we even watched a few of their movies. Thanks so much for your lovely comments. We are delighted you and your family enjoyed your stay in Bridge of Allan. We look forward to welcoming you back! The apartment was great. Paul was a great host, very helpful when we booked and stayed in touch leading up to our stay. Locating the apartment and getting keys was so easy and smooth. Location is fantastic for exploring Stirling, visiting Edinburgh, Glasgow and Perth and so many beautiful places to see. Would highly recommend. Thanks so much for your lovely comments. We are delighted you enjoyed your stay in Bridge of Allan. We look forward to welcoming you again. Thanks so much for your lovely comments. We are delighted you enjoyed your stay in Bridge of Allan - and even better that you got to see Runrig playing their final concert! We stayed at this beautiful Apartment for 9 days and didn't want to leave. We are definitely booking this again! The location is excellent with lots of restaurants in walking distance. It is also centrally located for sightseeing. You wont be disappointed!!!! Thanks so much for your lovely comments. We are delighted you and your family enjoyed your stay in Bridge of Allan. I had a nice stay at this lovely flat. I loved the open kitchen, dining and living area. The starter provisions were a nice touch. And being able to leave the car parked and walk to Bridge of Allan shops and restaurants was ideal. I'm sorry I couldn't spend more time here. Maybe next time. Thank you for your hospitality! We are glad you enjoyed your visit to Bridge of Allan. Hopefully you'll get a chance to visit us again soon.